Anita is very reponsive and caring to our pets and treats them like her own ! Anita is great and we feel totally comfortable leaving our dogs and our home in her care. Thanks Mayra and team! My dog has always been traumatized when we have left her at other places. Taffi really seems to thrive at Pooch Sitters. When we pick her up, she is happy to see us, but calm and comfortable. She even gets to sleep in the bed. She probably has more fun with Mayra than she does at home with us. Definately would reccomend your service. I brag about how great it is to all my family and friends. I should start by saying my chihuahuas are like my kids and I usually just take them every where with me. For my honeymoon, I had to leave them at home. Pooch Sitters were recommended by Lovebugs Rescue, which is where I got one of my little Chis. Pooch Sitters were wonderful and even fit me in on very short notice. I had a great experience with Kathy and my pups seemed very content when I got home. I booked another trip to go out of town a couple months later and contacted them right away. I was thrilled that Kathy was available again. She is great and gives me updates throughout the weekend. Again on this trip, my pups seemed well taken care of and very content when I got home. Though of course they were glad to see their mommy.  I will definitely use Pooch Sitters again and have already recommended them to friends. Great, reliable, quality service! Thank you Pooch Sitters! We are happy to have PoochSitters in our lives. We are so relieved to be able to go on our little trips away from our precious pets and know they- and our home- are in good hands. PoochSitters are caring and trustworthy. Thank you, PoochSitters! I was walking my dog Pfritz in Irvine Regional Park one day when I saw this smallish woman walking a pack of big power breed type dogs. I have a Rottie so I had to go talk to her. It turns out she's a dog walker and provides doggie day care. So Pfritz and my sister's dog Rosie started going to doggie day care. 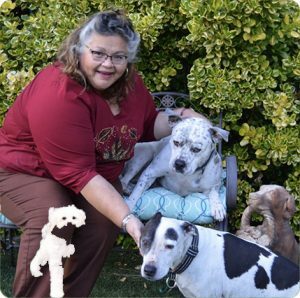 Mayra gives about the best doggie day care you're going to find anywhere. She has a really nice size area for the dogs. Little dogs are in a different area than the big dogs. And she has a nice area for them to run around in. But what I really like is that my dog gets a really good hike each time he goes for day care. I think the hikes are about 45 minutes each time. He goes 3 days a week now. It started with 4 days a week but I dropped him down to 3 days to save some money. She also does Pooch Club walks where we all meet and take a hike with the dogs in different regional parks in the area. That part is free and it's nice to be with other folks who either board with her or just know of her. She also fosters rescue dogs which is so great of her! She provides regular ongoing doggie day care, boarding or she'll come to your house and walk your dog. She's flexible and I can't say enough about how glad I am to have found her! By the way, Pfritz seconds that emotion! Outstanding service provided by Susan. Promptly on time, very attentive to our dog Missy. Played with her for a few moments, and then proceeded to carefully clean her teeth with tender loving care. Thanks for the service and we will call you back in about a year or so..we want to keep our little dog's teeth and gums healthy. We have the utmost trust and faith in Pooch Sitters. We know Max receives have the best of care and attention. Mayra, thanks for all your hard work! Max loves you! I love Pooch Sitters! I have had only positive experience with Mayra and her fellow pet sitters. Everyone does a great job. My cats love that they don't have to go to a kitty hotel when I go away! Thanks again for great service! The dogs are always happy and the house looks great. Couldn't ask for any more. Great job! Pooch Sitters has been THE best experience I've ever had for my dog. I have used their services by taking my dog to Sarah and Lisa's houses and they are here every Wednesday to take her for a walk in the park. They have done wonders in socializing my dog. I feel very fortunate to have found them and I never worry about my dog being in good hands. I am pleased to give them the highest of recommendations. I feel completely content and satisfied leaving the care of my 2 beagles to Pooch Sitters. We travel every summer for a week or more, and my dogs are much happier staying home and receiving rewarding visits from their care provider. I was pleasantly surprised by the little extras too...picking up mail, door hangings, watering plants. I, and my beagles, would highly recommended Pooch Sitters to anyone. I was very happy with Myra and the arrangement she has in her home. I was not worried at all leaving my dog there for an extended period of time, hey, she got a crush, what's wrong with that! Thanks alot for the individual attention you give to all your boarders. Mayra came to our rescue while we were in Michigan and Tartine was at home with our dog walker, Lori. Tartine was suffering from some serious separation anxiety and had really done a number on our home. Lori was kind enough to recommend Pooch Sitters AND drive Tartine out to meet Mayra's other dogs. Thankfully, Tartine passed the test! We were still nervous in Michigan - that is, until we received an email from Tartine. Any dog sitter who would send an email "from" my dog, complete with photo, is completely fabulous! Tartine came home looking happy and beautiful with a few new doggie (and human) friends. We will definitely be calling Pooch Sitters every time we go away! Thank you so much for taking such good care of our girl. Couldn't be any better! Never had a complaint of any sort! Always very cooperative over occasional (or sudden) schedule changes. Angela was amazing. She is such an asset to this service. She provided me with daily text message updates on my 2 cats and even and photo!!! She made me feel completely at ease while on vacation because I knew that my cats and house were ok!! Love her and will look forward to working with her again!!! 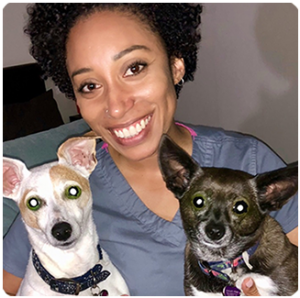 We have complete trust and confidence in Pooch Sitters tending to our pets while we're away. The care they receive while boarded at Myra's is similar to the treatment they get at home. It is nice that they have access to a safe yard but also are welcomed inside the house. Our pooches enjoy interacting with the other pooches and always come home happy after their visit. We chose Pooch Sitters because of the clean, friendly, disciplined environment where pets come first. My pets thoroughly enjoy their daily walk. Most importantly, they come home clean and with no fleas! Our dog Otis was very well taken care of and we are so thankful to have found this wonderful place for him. We will most certainly be using pooch sitters for all of our vacations. It is a loving, happy place for any dog. A big A+ for Pooch Sitters. My dog, Tribelle, threw-up in Vicky's car at least 3 times but she (Vicky) never got angry. She had some good ideas for solving the problem and even bought new cleanable "pads" for her car. She was unflappable. Tribelle's going twice a week now and she's walking with Missy and having a great time. Tribelle is a very social dog and being with a disciplined pack of dogs while getting exercise is the best of both worlds. 4 of my 5 dogs just had a dental cleaning this past Sunday and the whole thing was organized by Mayra - a wonderful event that benefited my dogs and the German Shepherd Rescue. Pooch Sitters is terrific. We have used you twice, both for overnight care. I was very happy with the daily text updates and it was clear that the individual personalities of my babies were appreciated and their needs were met. My husband and I are extremely satisfied with our doggy walker, my two bassett hounds enjoy Monique and look forward to their walks on Tuesday's/Thursday's. With our busy schedule it is hard for us to walk them everyday. After walking she leaves a note in a journel to let us know how they are doing, which we look forward to reading. We love having Mayra available for extended stays for Kirby. He truly loves going there and we are more than satisfied with her ability and caring so much for her visitors. Myra seemed genuinely caring for my dogs and from our first meeting, was very professional. Jack and Piper seemed happy to be there and they were healthy and tired when I got them home. I would feel comfortable leaving them with Pooch Sitters again. Thank you!! Pooch Sitters is the best. We've been very happy for the years we've been using them. Highly recommend. Pooch Sitters is an incredible service. We have left our Golden Retriever with Mayra at Pooch Sitters a couple of times, the last time for over a week and our Daisy seemed happy and well taken care of. Daisy has environmental allergies requiring extra care, which was provided at Pooch Sitters with no hesitation whatsoever. We know that when we leave our beloved Daisy at Mayra's that Daisy will come home happy and that she will have no problem in staying when we leave her there once again. We also left Daisy with Judy Davis once and were very happy. Pooch Sitters provide excellent care and loving attention. This is a significantly better service than leaving a beloved pet at the vets or in the care of a facility with multiple dogs and few human supervisors. Without hesitation we recommend Pooch Sitters to any doggie owner who wants peace of mind. Susan did a great job and is wonderful with the dogs. My dog can't wait for his Group Doggie Hikes twice a week. He gets SO EXCITED when the doorbell rings, he starts whining and screaming!!! It's very obvious that he loves Lisa & Sara. And it has really been good for his social skills. Peyton thinks every dog in our neighborhood is his bud. Also, I feel very fortunate to have discovered such a great place to leave my dog when I am out of town. Just can't say enough good things about Pooch Sitters of Elk Grove! I've been a customer for 2.5 years. Our dog loves to go to PoochSitters and so do we. They have been there when we've needed a place to take care of our dog and she loves the fact that she's in a loving home with other dogs and not crated up all day or all night. She loves going for her walks and to the dog park and enjoying hr freedom like she has at home. We would highly recommend PoochSitters to anyone looking for a great place to house their 4-legged family member and have recommended them to many of our friends. What a great service they offer! Pooch Sitters is the greatest service ever. The employees care about my 3 dogs. I trust Pooch Sitters explicitly with the care of my pups. My pups are walked 3X a week and every other week participate in the power walk. The pups are very tired. I have also used Pooch Sitters to board my dogs. They are exercised, not kept in cages and well care for. Thank you Pooch Sitters for being there when needed. I am so grateful I have Lisa to take care of my pets. Lisa has taken care of my pets and pets in my family for over two years. She loves my dog and cat and treats them as her own. Lisa has my complete trust. Our experience with Pooch Sitters has been more than we expected. We have an active dog that needs time and attention during the day while we are at work. 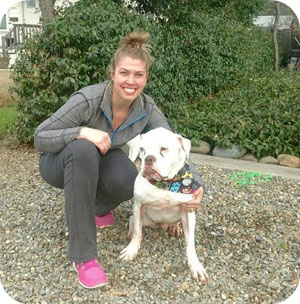 Emma's weekly schedule includes midday walks, group dog walks and dog daycare. We come home to a happy dog. It's a great feeling to be at work and know with confidence that Emma is being taken care of just as if she was part of Mayra's family. We highly recommend Pooch Sitters. My dogs activity level for her age is remarkable. We care for our dog and without Pooch Sitters I don't think the quality of care would have had the same impact on her longevity. For one thing Mayra knows her business well. She made a referral for me to a dog nutritionist which basically saved my dog's life. For that alone I'm eternally grateful. I'm real busy with outside activities. It's nice to know that I have Vicky coming over to take care of Angie. If gives me a bit of a break that I need. Thank you for all you do. I very much appreciate your service. I have been very happy with your services. You are very well organized and always get back to me right away with requests for sitting. Cindie visits my cat and she always lets me know ahead of time that she plans to see my cat (so that I don't worry that Pet Sitters has forgotten) and gives me updates as to how my cat is doing. Lisa & Sara are awesome "babysitters"!! We've been using their services for at least 5 years and we love them! Our doxies are really happy there and they are treated as family members, allowing us to enjoy our vacation time away from our "babies". Thank you Lisa & Sara!!! 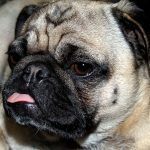 We have used the services of Pooch Sitter since we moved to North Orange County over five years ago. We absolutely love them!! Mayra and her Pooch Sitter team members are wonderful. We feel confident that our two dogs get lots of love and attention when we are away. It's always hard to leave your pets, if even for a few days, but I know they are in good hands and will be well cared for. We're glad we can rely on Pooch Sitters. I appreciate having a chance to meet the sitter when there is someone new "assigned" to us. I also like getting email updates when we're away for more than a 3-day weekend and highly encourage you to make this a "standard" - it adds great peace of mind. I am very satisfied with the Pooch Sitter service. I always receive a confirmation phone call prior to the scheduled service date and a note with comments on how the critters did. I've used the service for a few years and have always been very satisfied with the service. Susan came to my house to clean my three cats' teeth. She was great. I will definitely continue on this way for as long as possible. And I will definitely recommend her to my friends. Pooch Sitters immediately took care of our needs during the Thanksgiving holiday, within only a week's notice. The dog walker came over to meet the dogs, no charge, and she walked with me & the 2 German Shepherd dogs for a half hour, talking about our dogs' behavior. By the end of our walk the dogs were loving Samantha. This was very special, as our female German Shepherd is shy with strangers. Our male German Shepherd loves all, but he is a powerhouse. Sam walked the dogs one at a time each day. This way they received a bit of training from Sam on how to walk with her and behave. She did GREAT! When we got home from NY, she came over to walk them again, even tho' we were home. They could not wait to walk with her again. Thank you for your professional help and giving us the relief of going away without worrying.